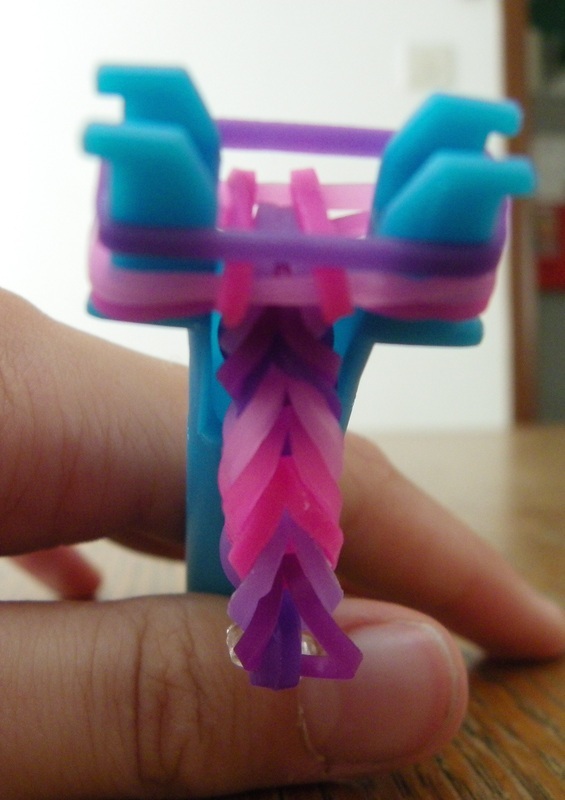 Note: This bracelet design can also be done on two pegs of the full loom. 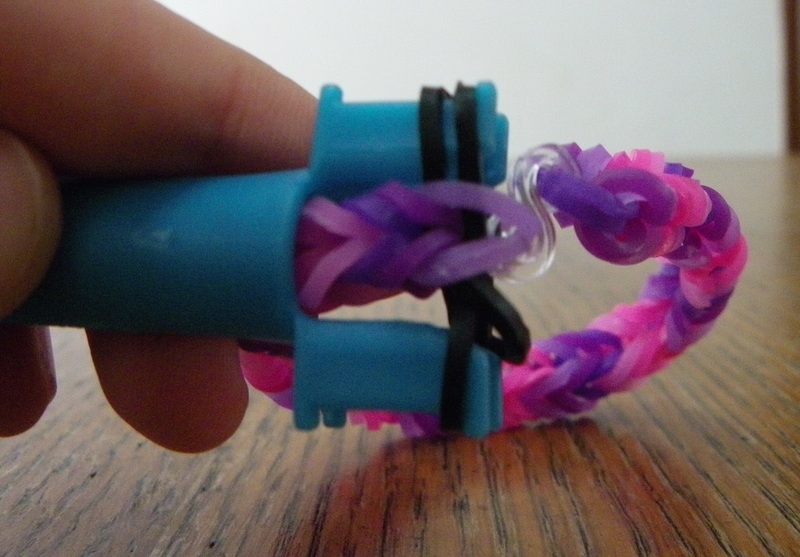 Place your first band from peg to peg on the mini loom, making a figure 8 shape. 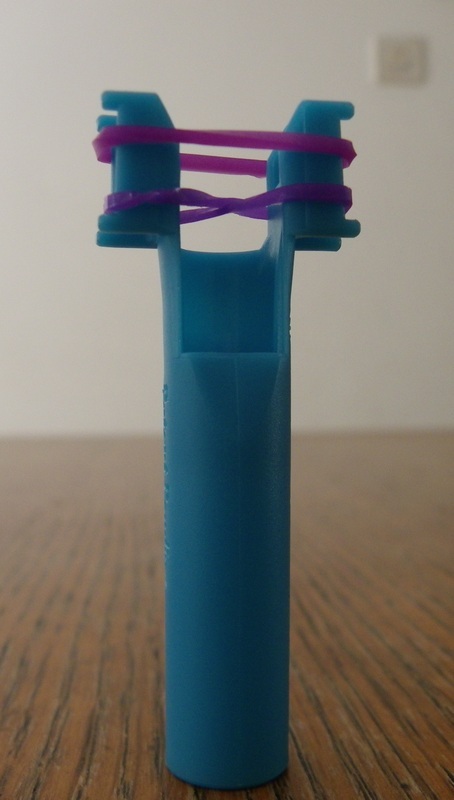 Place your second band, from peg to peg, this time without making a figure 8. Remember to press down the bands as you go. 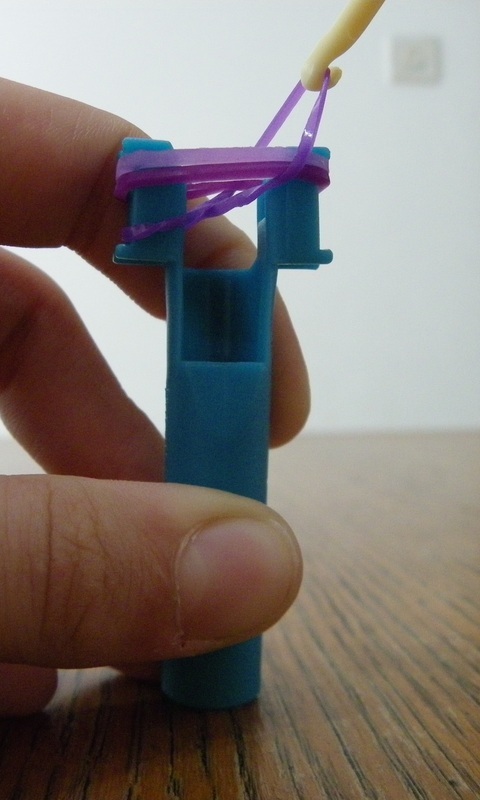 Place the third band on the loom, this band and all the rest of the bands will not need to be twisted into a figure 8. 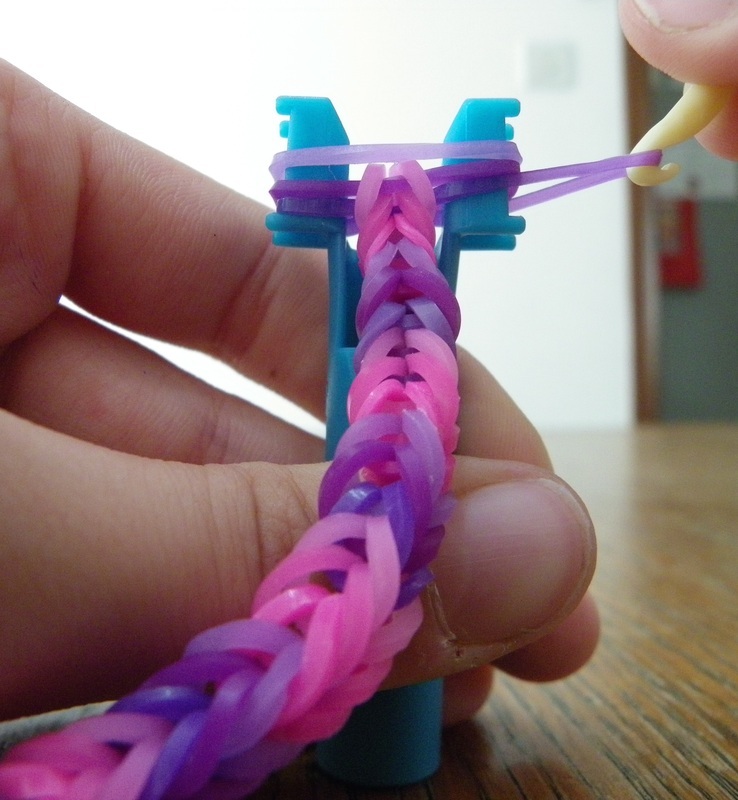 With your hook grab the bottom band and begin to pull it over the top of the loom. Release the band over the top of the loom. Repeat steps 5 & 6 for the other side of the loom. 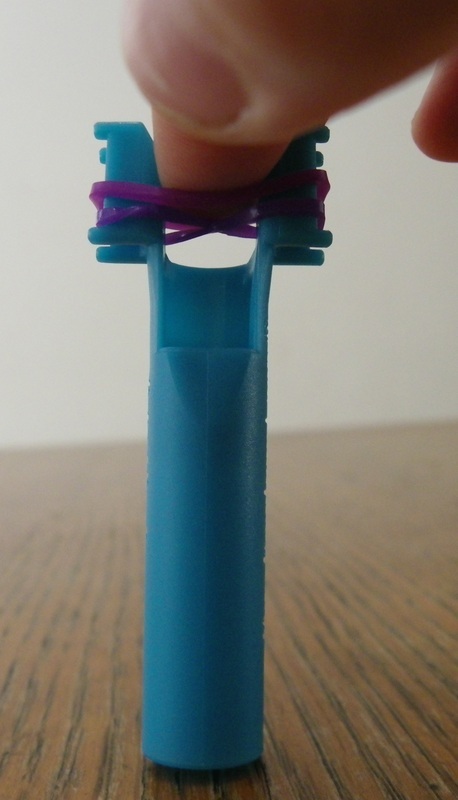 Take a S-clip or C-clip and secure it onto the band that you just looped. 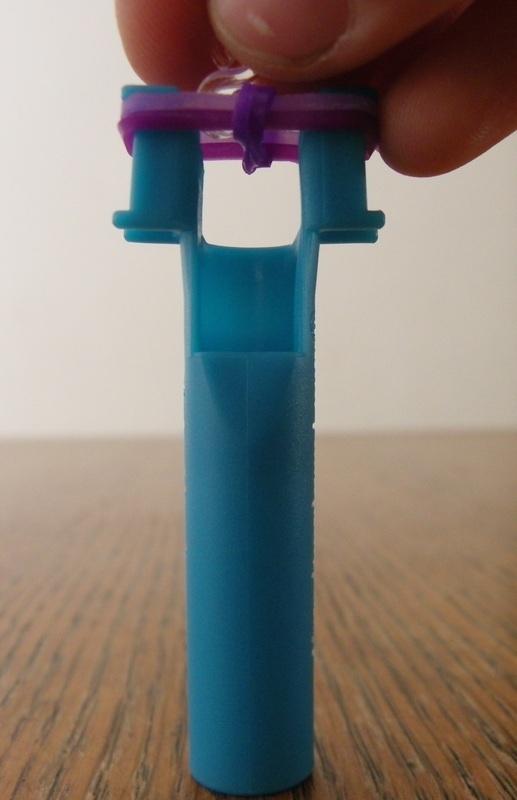 Turn the band around so that the S-clip or C-clip is at the bottom. Place another band on the loom, after looping you should always place another band, so there should be three bands on the loom unless you have just looped. 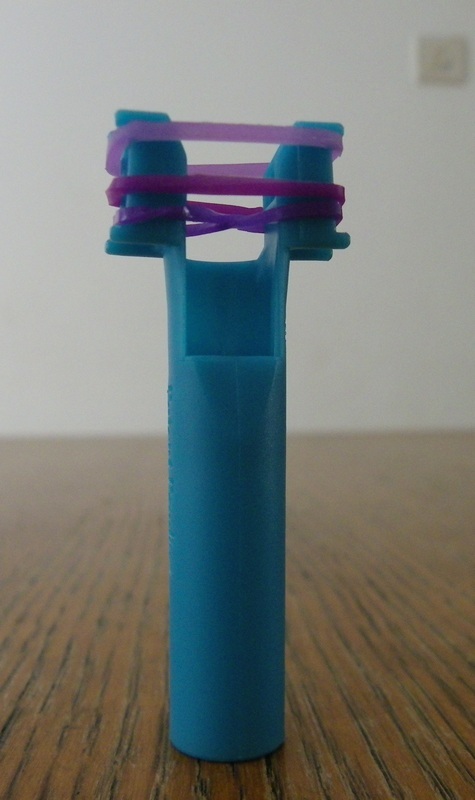 Loop the bottom band on both sides, then continue placing and looping bands. 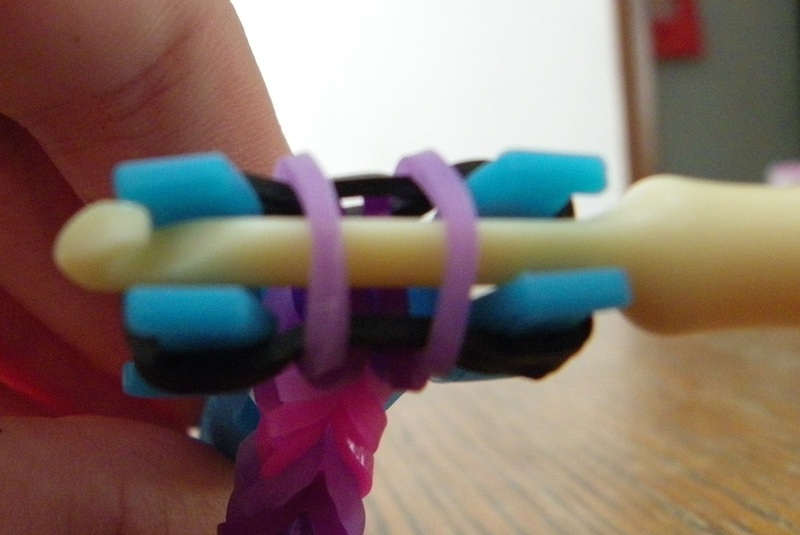 Soon your bracelet should take shape. 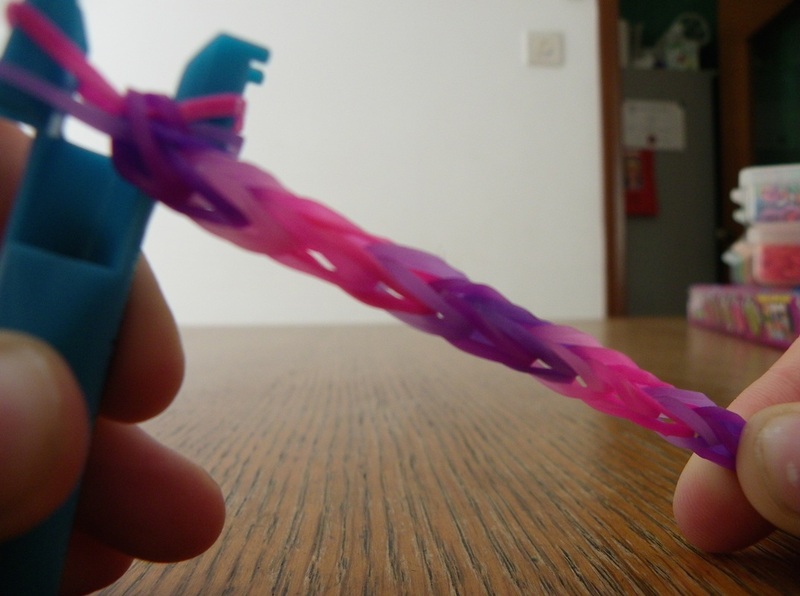 Remember to stretch out your bracelet as you go. 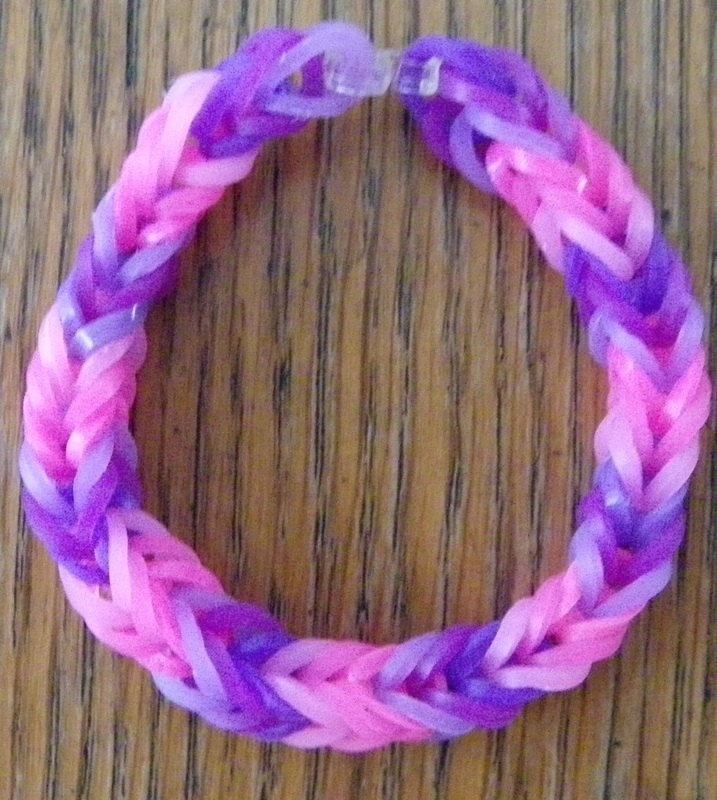 Continue looping until the bracelet is long enough to fit your wrist. 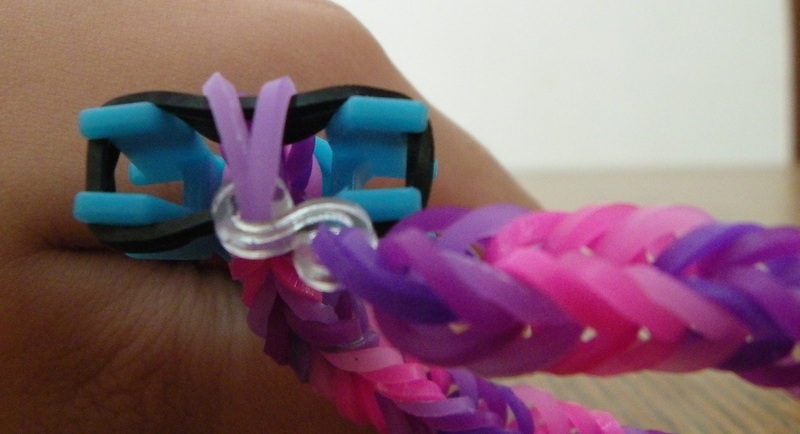 Once you have looped all of your bands place a band of a colour that you are not using on the loom. 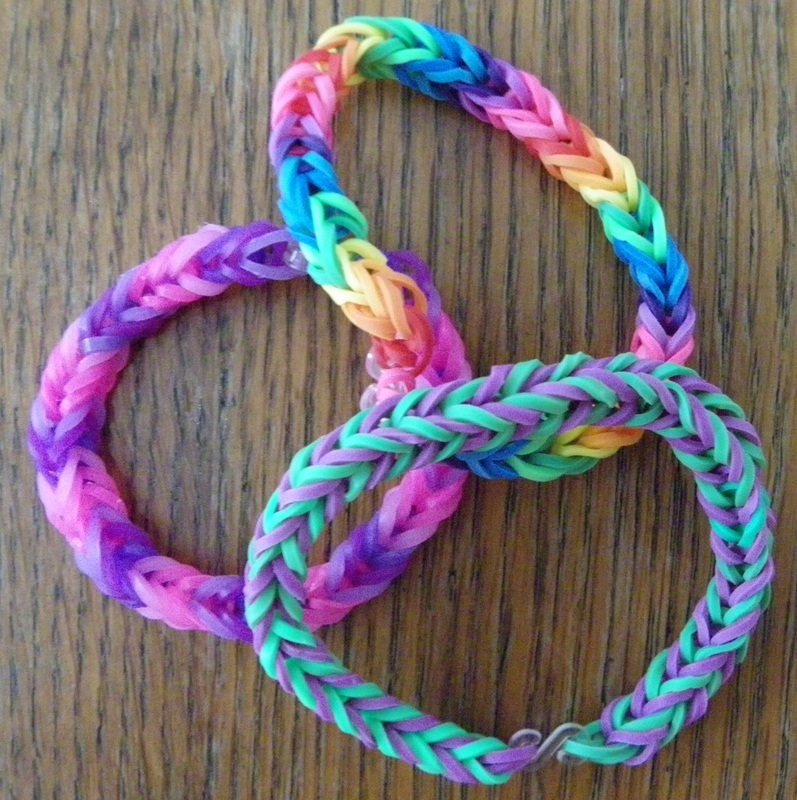 Place another odd coloured band on the loom and then loop the bottom band. 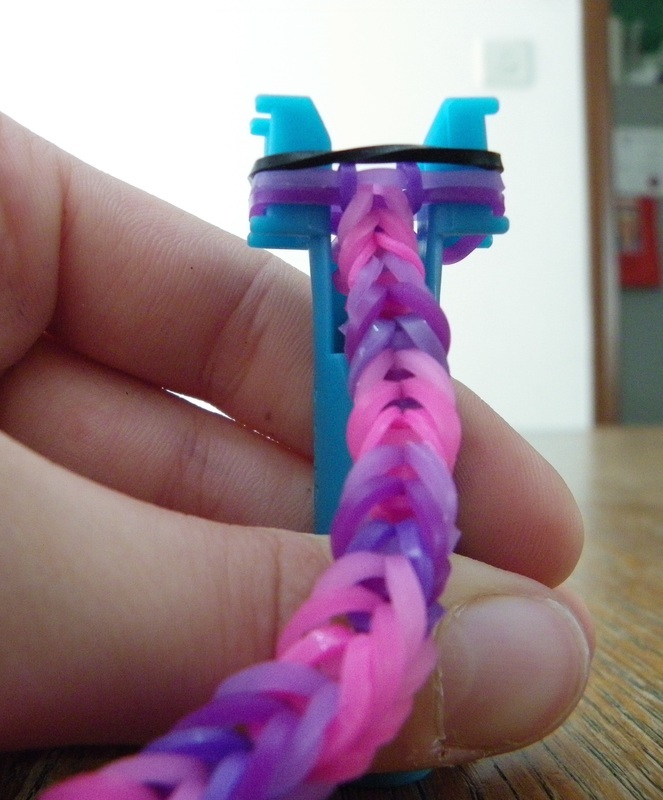 Slide your hook through the top looped band on the loom. 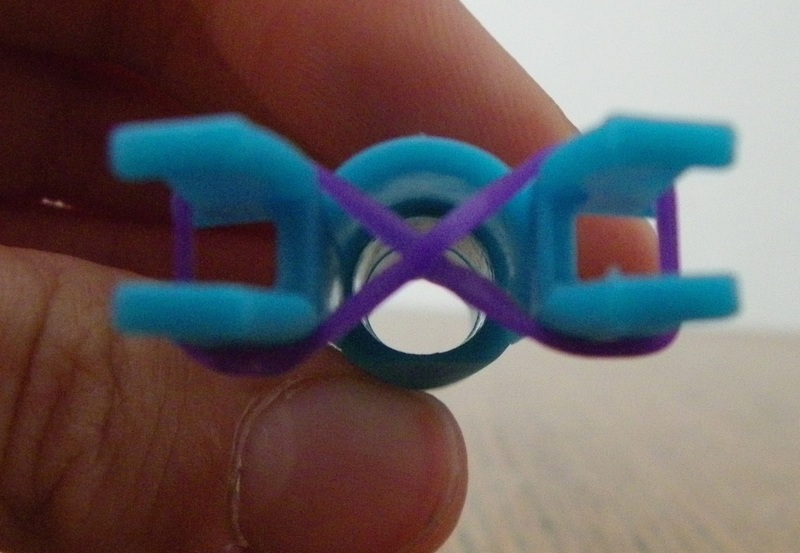 Place the S-clip or C-clip from the other end of the bracelet onto the looped band. Remove the hook from the loom. Loop one side of the bottom odd coloured band off the loom. Loop the other side of the base band and then loop both sides of the top band, then remove the odd coloured bands from the bracelet. 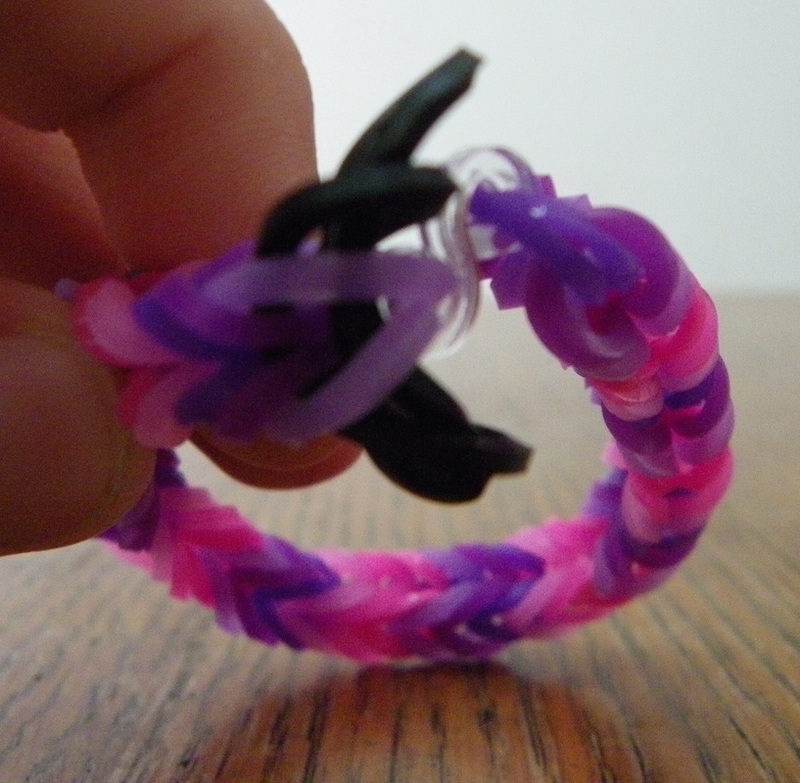 You have finished your fishtail bracelet!